On her 2016 debut Hero, Morris proved herself capable of crafting songs that sturdy. Like the best artists in her chosen field, the Nashville-based Texan understands how to arrange basic musical building blocks in fresh and compelling ways. Her songs are the sort that can be strummed on an acoustic guitar around a campfire. They rely on a few familiar chord changes and plainspoken lyrics, often organized around the broad concepts and metaphors that have become a constant in modern country music. The car radio blaring on the highway is her version of church; her crush makes the world sweet like sugar; she’s not the hero in the story, but she wishes she was. Sometimes the conceit is even less complicated — a seduction, a profession of devotion, a celebration of being young. Churning out songs of that ilk is not rocket science, but it is architecture of a sort. Morris is an expert architect. She’s also a skilled interior designer. She knows how to flesh out those rock-solid structures in a variety of stylish fashions, so that they rarely feel simple or stale. To quote another GIRL track that seems more overtly meta, “I’m cooking up my own flavor/ Even if it ain’t your style/ You only seeing one layer.” And as heard on “The Middle,” the top 10 smash she released with electronic producers Zedd and Grey last year, she can slice through those arrangements like a precisely wielded flamethrower. Morris has one of those voices that sounds both sweet and spicy, tuneful and textured and raw all at once. When she lets it rip, as she did at the climactic moments of “The Middle,” she can incinerate you. 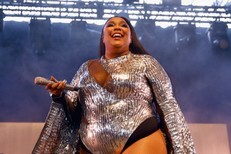 The success of “The Middle” had many wondering if Morris would try to plant her flag at pop radio on GIRL, but it’s more of a retrenchment in the signature style established on Hero. Her version of country has as much to do with roots rock as it does with pop. On “A Song For Everything,” a wistful ballad about the way music becomes permanently intwined with our emotional memories, she sings, “What’s your time machine? Is it Springsteen or Teenage Dream?” For Morris, it appears to be both, and GIRL continues to explore the full range of that scope. The album’s poppiest offerings aren’t that much further from the modern country baseline than Hero tracks like “’80s Mercedes.” Winsome soft-rocker “Gold Love” matches funky bass with a programmed slap, and the R&B-shaded “RSVP” is awash with keyboards and skittery trap hi-hats. But those songs seem less like crossover bids than natural extensions of the moody twilight balladry that currently rules Nashville, beautifully exemplified by the song sandwiched between, “Great Ones.” Another example of Nashville orthodoxy done right is the Brothers Osborne collaboration “All My Favorite People,” a solidarity anthem reminiscent of Blake Shelton’s “Boys Round Here” replete with saucy lead guitar. The lovestruck, confidently sauntering “The Feels” and the gracefully gliding string-laden waltz “Good Woman” are like snapshots from different moments in a relationship, and they show off two sides of an artist with serious range. The range extends to subject matter. GIRL includes some message songs: The guitar-powered title track is a feminist pick-me-up, while the Brandi Carlile duet “Common” is one of those tunes urging our whole divided species to come together. Morris is pretty good at those big-picture appeals, but where she really shines is the more personal character sketches. Her tunes that feel most universal are the ones that embody our common human experience, not the ones that take pains to point it out. Like fellow Nashville leading light Kacey Musgraves, Morris got married to one of her singer-songwriter peers last year, and GIRL sometimes glows with the contented glimmer that made Golden Hour such a delight. Morris is on her own wavelength, though, one a little closer to the country mainstream. Her new album is not some psychedelic daydream but a down-to-Earth burst of reality that reminds me of the motto from another Texas pop culture treasure: clear eyes, full hearts, can’t lose. Jonas Brothers debut atop the Hot 100 this week with comeback single “Sucker.” Per Billboard, the “Feel It Still” soundalike is the reunited group’s first #1 hit and third top 10 following 2008’s “Burnin’ Up” (#5) and “Tonight” (#8). 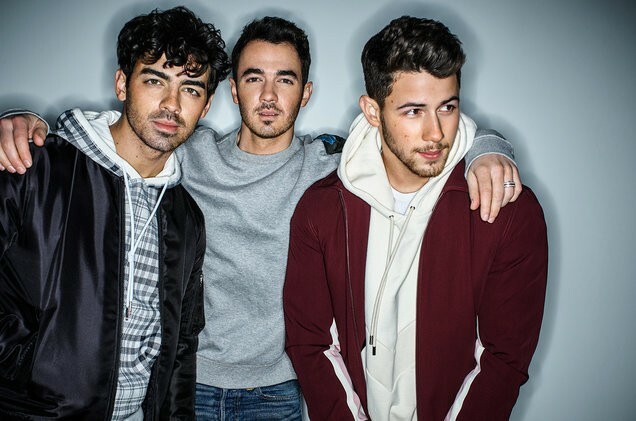 Two of the brothers have also hit the top 10 with other projects: Nick’s solo track “Jealous” peaked at #7 in 2015, and Joe’s DNCE hit “Cake By The Ocean” topped out at #9 the following year. In at #2 for the second straight week is Ariana Grande’s “7 Rings.” Cardi B and Bruno Mars’ “Please Me” reaches a new #3 peak, followed by former chart-toppers “Sunflower” by Post Malone and Swae Lee (#4) and “Without Me” by Halsey (#5). Last week’s #1, Lady Gaga and Bradley Cooper’s “Shallow,” slides to #6. Post Malone’s “Wow.” rises to #7, also a new peak. And rounding out the top 10 are Marshmello and Bastille’s “Happier” (#8), J. Cole’s “Middle Child” (#9), and Travis Scott’s “Sicko Mode” (#10). Over on the Billboard 200, Hozier debuts on top with 89,000 equivalent album units and 75,000 in pure sales for Wasteland, Baby! Per Billboard, it’s his first #1 album. After Ariana Grande and A Star Is Born at #2 and #3 comes a #4 debut for 2 Chainz. His star-studded Rap Or Go To The League did 65,000 units and 13,000 in sales. Lil Skies’ Shelby debuts at #5 with 54,000 units/6,000 sales. The Bohemian Rhapsody soundtrack is at #6, followed by one more top 10 debut, Solange’s When I Get Home, at #7 thanks to 43,000 units/11,000 sales. (Notably, 2016’s A Seat At The Table debuted at #1.) The rest of the top 10 comprises Gunna, Offset, and A Boogie Wit Da Hoodie. Trying to figure out whether I would resent this song so much if it was some anonymous striver on the mic and not Lauren Mayberry, whose music I used to love dearly. Khalid really is the easy listening Frank Ocean, isn’t he? When the songs are this pleasant, I don’t even mind it. Also, is this a song about apologizing for being on your phone too much? If so: Very relatable, Khalid! Daya’s biggest hit by far is the Chainsmokers collab “Don’t Let Me Down.” That’s a pretty good song, but she’s even better over club music that sounds like it’s blaring under a blacklight. Someone was just asking me what ever happened to the album that was supposedly coming from Labrinth/Sia/Diplo supergroup LSD. Apparently it’s out 4/12! And this is the new single from it. It’s fine.